The Samoa Fire Emergency and Service Authorities (S.F.E.S.A.) 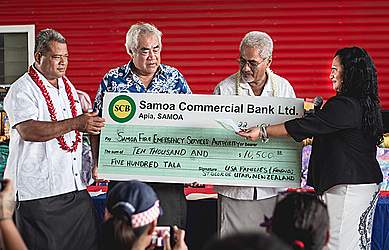 and the Ministry of Police, known as Samoa’s first responders to emergencies, will benefit from a $10,000 tala donation. The children of staff working for the two State entities were also given scholarships. Tupuola Sione and Faalogo Sissy Situtuila Vuki from St George Utah presented the scholarships and made the donation yesterday at the Faleata Police Station. Promoting and advocating child education, the couple raised funds from supporters and local business communities who came forward to support them. This year the children of staff working for the S.F.E.S.A. and Ministry of Police received scholarship awards and school packs for the primary, secondary and tertiary school levels. 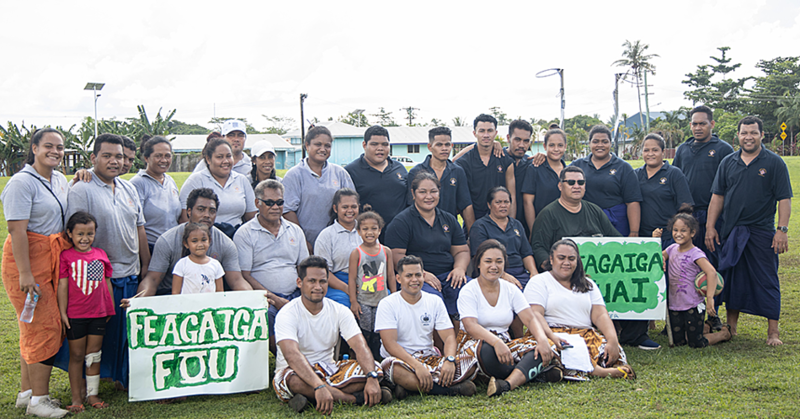 Speaking on behalf of Prime Minister Tuilaepa Dr. Sa'ilele Malielegaoi who is also the Police Minister, Vui Ricky McFall thanked Tupuola and Faalogo for their generosity which will go a long way in assisting the students who were successful in their applications for assistance. Twenty other students were who unsuccessful in their applications were given school backpacks. The $10,500 donation was made to the 911 National Emergency Call Center. 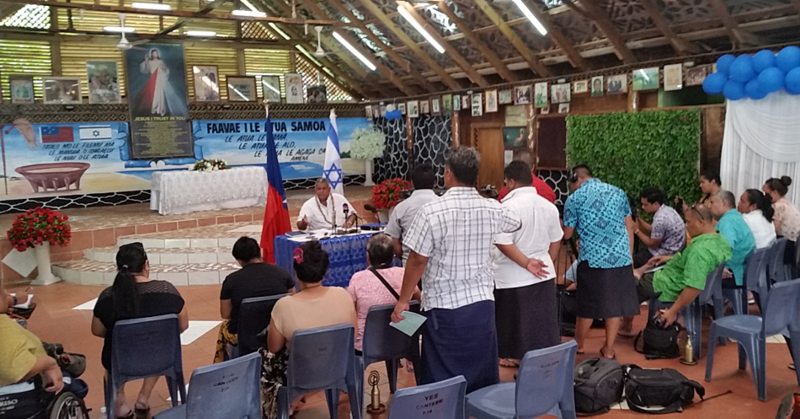 Faalogo told the Samoa Observer that it is the second time they did a fundraising and made a donation, and emphasised that she will always be grateful for Samoa’s team of first responders. “They give us hope. Our initiative is to continue the work that we are doing now,” she added. 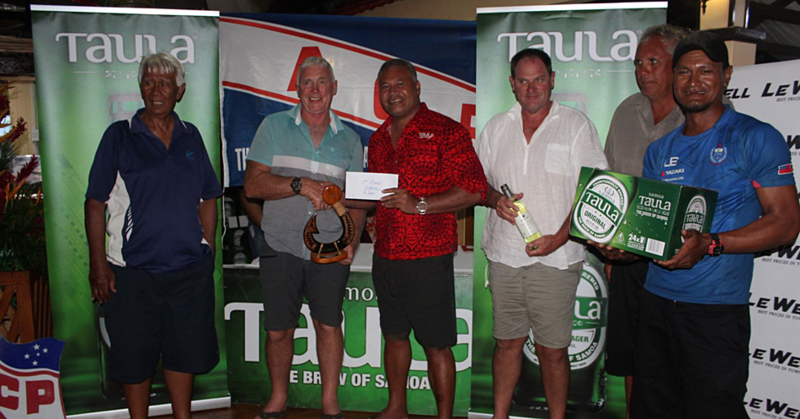 Tupuola was not able to attend the presentation ceremony due to ill health.